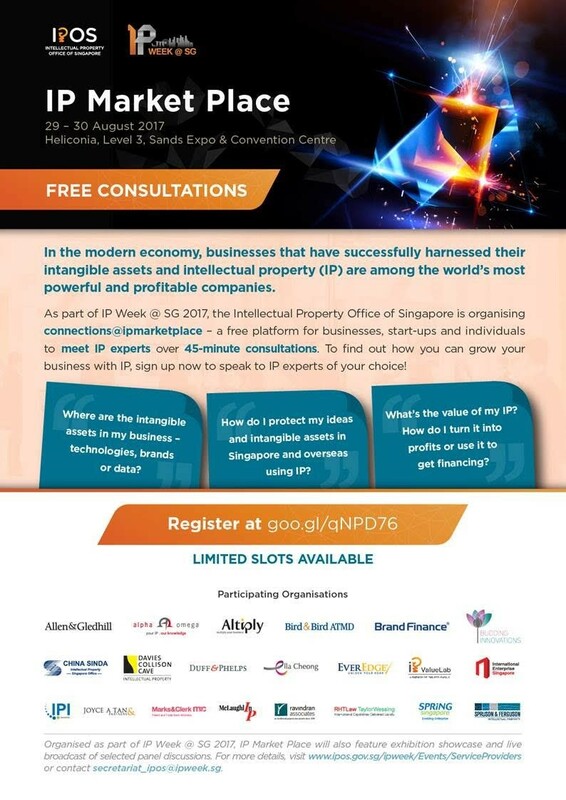 IPOS is organising free one-to-one consultations for companies and start-ups to meet IP experts on 29-30 Aug at Sands Expo & Convention Centre. For this, they have gathered 21 IP firms and agencies that can help companies protect, commercialise and value their ideas and inventions. SPRING and IE who administer relevant grant schemes are also on-board.